At Timberwise we have a team of damp surveyors who can conduct a damp survey on your property and provide a report to let you know what the damp problem is at your property. The most common damp issue in homes is condensation which mainly occurs over the colder months of the year. This is because during periods of cold weather warm, moisture laden air travels to cooler parts of your house. The air can only hold so much moisture until it gets to a point where excess water vapour is deposited on cooler surfaces such as windows and walls. Two effective ways of stopping condensation affecting your home are by making improvements to the ventilation of the house coupled with regulating the heating throughout your home. Installing bathroom and kitchen fans to help remove the excess moisture in the air. Shutting doors will also help stop the moisture spreading to different rooms of your house. Regulate heating throughout your property to ensure that there is lower heat being established in and around the house. By reducing the amount of rapid changes in temperature level this will help reduce the chances of condensation occurring. Good ventilation is an essential component for air to be evenly circulated throughout the rooms of your home. This can be achieved by opening your windows or installing home ventilation systems. 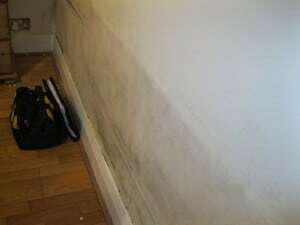 Rising damp occurs when there is a movement of ground water through the wall or floor. This type of damp occurs as a result of water getting through the defective damp proof course or if there isn’t any damp proof course present, the wall on the outside of your property may suffer from rising damp. The most effective way for treating rising damp in your property is to install Damp Proof Course or a Damp Proof Membrane. A damp proof course provides a horizontal layer of waterproof material that is put into the walls of the building acting as a barrier against moisture rising up through the walls. For example, DriWise damp proofing cream. A damp proof membrane can also be added for protection against rising damp. It is a sheet of material that is impenetrable to water and is laid under a concrete floor. The membrane should be connected to the damp proof course so that the house can be effectively sealed from dampness. This form of damp is caused by significant damage to areas such as roofs and chimneys. Compared with rising damp which tends to expand in a vertical movement on surfaces, penetrating damp expands in a horizontal movement. Check all gutters, pipes and all exposed areas where they may be blocked. If the downpipes are obstructed then remove anything from these areas and consider replacing the gutters if problems persist. The rendering may have been cracked which may be letting water in, cracked gaps may have opened will need to be resealed. Check underneath the window for any moss or dirt. 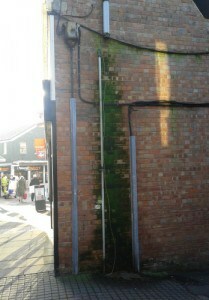 This could be causing water to seep into the property so this should be removed as soon as possible. To get rid of damp from your home we always recommend you contact a damp proof specialist but if you would like more on damp proofing and the treatments that Timberwise provides click the link. 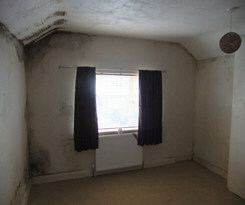 If you want one of our qualified damp specialists to inspect your property for damp then book a survey online.